Rice and beans is a popular Mexican meal that is tasty and easy to make. If you’re using dried beans, you need to plan ahead by soaking the beans overnight and then likely cooking the beans and rice separately. However, the Instant Pot makes this an easy meal to make any day of the week, with no advance planning. 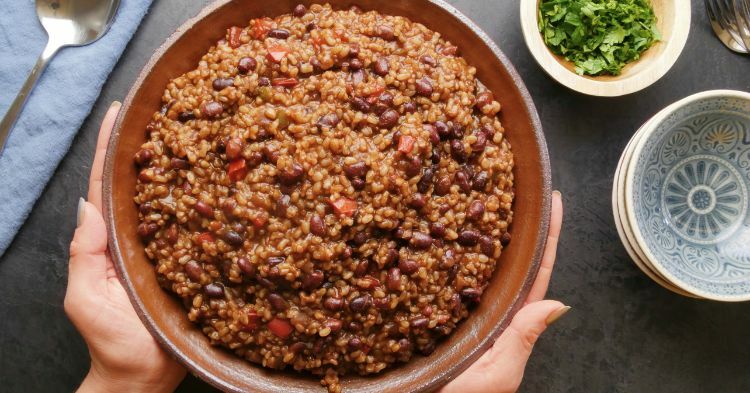 To make this recipe as simple as possible, we’ve used brown rice instead of white so that the beans and rice can be cooked together. 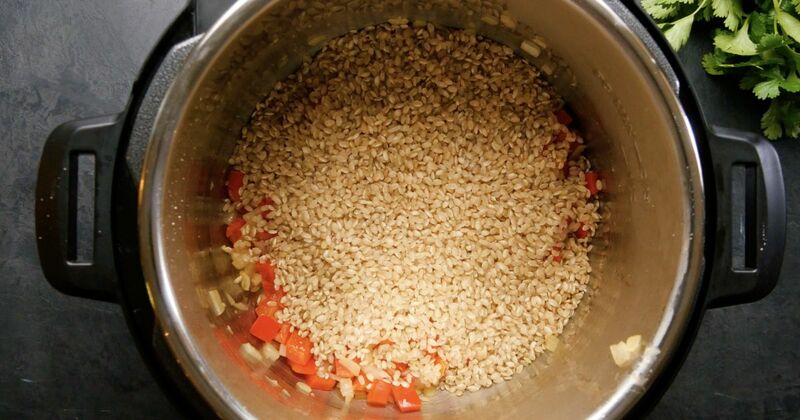 If you prefer to use long-grain white rice, leave the rice out for the first 25 minutes of cooking. Release the pressure, add the rice and then continue to cook on high pressure for another 10 minutes. This dish gets tons of flavor from salsa, chili powder, cumin, bay leaf and vegetable broth. You can substitute chicken broth or water if you don’t have vegetable broth on hand. Serve it topped with grated cheese for a satisfying vegetarian meal, or serve it as a hearty side with grilled meats or fish. Add the onion, pepper and garlic and cook. Stir frequently, until softened, for about 5 minutes. Stir in the rice, beans, salsa, chile powder, cumin and bay leaf and broth. Turn off the pot using the cancel/keep warm button. Close the lid and turn the valve to the sealing position. Choose high pressure and set the timer for 35 minutes. When the cooking time is up, let the pressure release naturally for 10 minutes and then quick release any remaining pressure. Serve hot.